In the history and development of The Fourth Way, the teaching brought by Mr. Gurdjieff to keep the world from destroying itself, P. D. Ouspensky occupies a unique and important place. Ouspensky's In Search of the Miraculous, first published in 1949, two years after he died, and arguably the finest book about a teaching ever written by a student, has served as the primary introduction to the Work for several generations of seekers. During his lifetime Ouspensky himself introduced many people to the teachingin the 1930s alone he had over 1,000 students in England. After his death, Search, Psychology of Man's Possible Evolution and transcripts of his meetings such as The Fourth Way, A Record of Meetings and A Further Record have introduced the teaching to many thousands more. His contribution and widespread influence has been significantbut it has come with a heavy price. For many people, Ouspensky is considered the teacher of The Fourth Way, one who even surpassed Gurdjieff. With the public and with many in the Work he has blurred and even obscured both Gurdjieff's light and his unique stature. 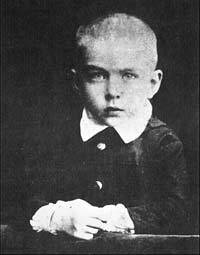 From the beginning Ouspensky did not want to be a student. It was only after Gurdjieff refused to answer his questions that he agreed to join a group in St. Petersburg. This was in 1916. Within two years, he would break with Gurdjieff in Essentuki. He reconciled with Gurdjieff in 1920 only to break with him again the following year. The third and final breach came in Europe in 1924. Ouspensky then set up his own groups in Londonnone authorizedforbidding his students not only to see but to speak about Gurdjieff. Ouspensky's rebellion aborted the primary octave of the teachingits introduction to the West. By sundering the direct dissemination of the teaching from Gurdjieff, its source, the force of the Work was vitiated. It put in question the lineage of the teaching and initiated the creation of a number of separate "lines" of the Work which still exist today. In terms of the teaching itself, Ouspensky's example set a precedent by providing a rationale for others to abandon one or another tenet of Gurdjieff's teaching that they found to be personally or politically unpalatable. He also introduced a penchant for secrecy, hierarchy, rules and behaviorsa rigidity and dogmatism personal to himself and his Russian heritagethat became the outward face of the teaching that continues in many quarters today. Undoubtedly Ouspensky, a very high seeker and decent human being, believed all this to be in the teaching's best interest. 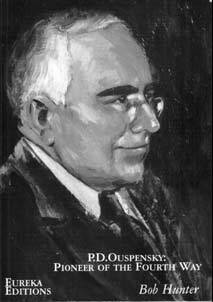 Through the years, there has been much controversy over these and other points, so P. D. Ouspensky: Pioneer of the Fourth Way, a new biography by Bob Hunter, should be a welcome addition to the assessment of the man, his ideas and his role in the Work. Hunter's book amply portrays the characteristics that inspire respect and admiration for Ouspenskyhis intelligence, his tenacity, his honesty. He also takes pains to present Ouspensky's emotional side, a needed complement to the mistaken commonplace view of him as coldly intellectual. For all its merits, the perspective of the book fails to fully engage many of the crucial questions raised by Ouspensky's life. Beginning with a discussion of the idea of recurrence and its central place as a principal theme in Ouspensky's thought, Hunter frames the whole of Ouspensky's life in the context of his struggle against mechanical recurrence, a struggle to free himself to actualize his potential. Hunter explicitly acknowledges Ouspensky's debt to Gurdjieff in providing the means to develop an understanding of ideas he had already encountered, such as recurrence, and makes clear that, until he left, Ouspensky supported Gurdjieff's Institute for the Harmonious Development of Man and publicly deferred to him as his teacher and superior. Examining Ouspensky's early writings, Hunter provides a useful inventory of his ideas to show how they differed from and paralleled those of Gurdjieff before they met. These works include Strange Life of Ivan Osokin (1905, first published in English in 1947), Tertium Organum (1909), Talks with a Devil (1916), and A New Model of the Universe (1931). In Ivan Osokin, for example, Hunter appraises such ideas as: man cannot do, to change anything you must change yourself, and nothing can be acquired without sacrifice. "The points of coincidence are so striking" [between these ideas and Gurdjieff's], Hunter admits, "that some readers have suspected that Ouspensky revised the novel's ending to have the magician represent Gurdjieff." Hunter maintains that Tertium Organum "created the interest that made a way of transformation known as 'the Work' accessible to people in the Western world." While undoubtedly true for some, a far greater number had been exposed to a variety of theosophical readings from which they acquired a store of ideas. Ouspensky, well read in Theosophy, relied on his Theosophical contacts to help establish himself in England. And some Theosophists also mooted the speculation that Gurdjieff was a kind of messiah whose arrival had been promised by Madame Blavatsky. Theosophical ideas were supposed to have prepared an intellectual groundwork for the practical means Gurdjieff would bring. (As Blavatsky didn't give any practices, Theosophists now take Gurdjieff's.) In the version of the teaching delivered during the years Ouspensky was his pupil, Gurdjieff, while making clear that he considered Theosophy an incomplete, mixed teaching that could give only negative results, made use of theosophical terms which were familiar to many in his audience. Later, realizing that his efforts were not producing the results he anticipated, and beginning the writing of the First Series, Gurdjieff dropped this terminology entirely. More significantly, he enlarged upon the teaching given during his Russian period to the extent that Ouspensky's version of the teachingnecessarily based upon this Russian periodcan only be thought to be introductory. Ouspensky himself contended to the end of his life that something was missing from the teaching and he was right but not in the way he believed. It is the responsibility of a biographer to investigate all relevant aspects of his subject's life and especially the ideas he has propounded. In some areas Hunter fulfills this, in others not. For example, with Tertium Organum, Ouspensky's primary metaphysical work, Hunter admits he hasn't compared revised editions with the original first English edition. "A more dedicated researcher than the present writer," Hunter explains, "would seek out an original edition for comparison, but Ouspensky's integrity was such that it is unlikely any basic ideas were altered." Hunter's appeal to a belief in Ouspensky's integrity, no matter how well-founded that belief might be, can only encourage a mythologizing of him while obscuring reality. The definitive way to nail down what Ouspensky knew before meeting Gurdjieff would have been to make the comparison. That Hunter fails to resolve questions such as this one, which can be settled definitively, raises a concern. Troubling also is an inconsistency in providing sources for various statements so it is difficult to find them for study in their original context. The impressions stamped in childhood are carried for a lifetime, but the impact of the early deaths of Ouspensky's parents and grandparents is passed by. Nor is much said about the impact on the 30-year-old Ouspensky of the political imprisonment and murder of his sister by the Russian authorities. The bare facts are summarized, but there is no examination of the consequences of these traumatic events as influences, say, on Ouspensky's concern with death and control, and his chief feature. In terms of more abstract influences on his childhood development, Ouspensky has said that two books made a significant impression, one of them was Lermontov's Hero of Our Time. Lermontov is also mentioned in New Model of the Universe, where Ouspensky remonstrates that in all the literature on Lermontov to date, not a single attempt had been made to analyze a passage about higher levels of consciousness and being. Hunter's only comment regarding Lermontov's book is that it continued the "superfluous man" (literally, one who is extra, unneeded by society) theme initiated by Pushkin in Eugene Onegin. This idea is based in the standard critical canon of the book, which is irrelevant to what Hunter has maintained are Ouspensky's central interests. The principal themes of Hero of Our Time deal with, among others, multiple views of the same external events, with recurrence, with the appearance of spiritual growth where there is none. That Hunter soon after continues with a discussion of Ivan Osokin and fails to connect these themes with Osokin is puzzling. Although Ouspensky's likely experimental use of narcotics to achieve higher states of consciousness is mentioned in passing, it is a subject that warrants further discussion. "Independent attempts in this direction [experimenting with narcotics]," taught Gurdjieff, "almost invariably produce negative results...." Despite the apparent objectivity of the rational mind, which can recognize that the opening to an experience of higher levels has been achieved by force and cannot be repeated without the drug, nevertheless, how can a portion of that experience not be taken over and put to use by "I's" in the service of an as yet untamed self-will? In this regard, could the use of drugs, likely nitrous oxide, have been a source of the vision and energy behind Ouspensky's formidable intellect to create Tertium Organum and so given him a false idea of himself? Is this why Gurdjieff tells him early on, "If you understood everything you have written in your own book, what is it called? I should come and bow down to you and beg you to teach me. But you do not understand either what you read or what you write. You do not even know what the word 'understand' means." And, later, when Ouspensky leaves Gurdjieff, could he have been unknowingly under the influence of an aspect of false ego that had been crystallized by the drug? None of this is hidden. The facts of Ouspensky's life have been set out by several contemporary writers, as well as by Ouspensky himself. What Hunter emphasizes, along with what has been omitted, supports a mythologizing "cover story," perhaps a legitimizing of broken "lines" of work? What lessons can we learn from history if we do not squarely face such facts as Ouspensky's leaving Gurdjieff prematurely and within months Maurice Nicoll leaving Gurdjieff to follow Ouspensky? 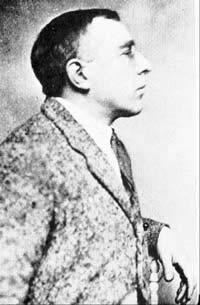 Ouspensky made three breaks from Gurdjieff in his first nine years in the teaching. "The reason Ouspensky gave" [for his first break], Hunter says, "was that a student in such an organization could not disagree with his teacher, whom he had to obey in everything." But isn't this always the reason given for leaving prematurely? He also ventures a suspicion of Ouspensky's that Gurdjieff was leading him on the way of religion, after promising that he would not. Hunter deduces that to surrender unconditionally Ouspensky would have needed faith (religious in nature, the way of the monk), in contradiction to Gurdjieff's injunction not to accept anything on faith. Another reason given is the "condition" mentioned by Gurdjieff, "...that before he can ascend to a higher step on the stairway of The Fourth Way a man must bring another man up to his own step. Thus a man becomes very dependent on a succession of other people for the possibility of self-development." This requirement, which Gurdjieff would later call "Trogoautoegocrat," is posited to have conflicted with Ouspensky's need for independence. Later in the book, the issue is raised again with regard to Ouspensky's refusal, after returning to London in January 1947, to meet with Gurdjieff (nor did Ouspensky's pupil Maurice Nicoll, whom Ouspensky had charged with leading his own groups in 1931). Nearing the end of his life, Ouspensky is thought to have refused the meeting because his more important, imperative inner task had to do with reinforcing his memory so as to free himself, given his belief in recurrence, to pass to a higher level next time. Oddly, Hunter speculates that "He [Ouspensky] could not know for certain whether his mysterious teacher or magician [still] needed to bring pupils to a higher level of development before he [Gurdjieff] could ascend further." Whatever Ouspensky's concernthis or the old idea that Gurdjieff was a "tainted channel"he rejected the chance to rise to a higher level this time around through Gurdjieff. (1) Idea of recurrence. Bob Hunter, P. D. Ouspensky: Pioneer of the Fourth Way (The Netherlands: Eureka Editions, 2000), p. 5. (2) Points of coincidence. Ibid., p. 15. (3) Lermontov. P. D. Ouspensky, A New Model of the Universe (New York: Knopf, 1946), pp. 414–15. (4) Superfluous man. Ibid., p. 12. In Eugene Onegin, Pushkin created the dea of the "superfluous" man. Well-educated, a nobleman whose needs are satisfied by his serfs, full of energy and desire, but unable to act because he is cut off from the heart and soul of Russia and himself, he is superfluous to life, useless and spiritually empty. (5) Narcotics. See Hunter, op. cit., pp. 24–5. (6) Independent attempts. Beryl Pogson (Compiled by Lewis Creed), Centenary Fragments (York: Quacks Books, 1995). (7) You do not understand. P. D. Ouspensky, In Search of the Miraculous (New York: Harcourt, 1949), p. 20. (8) Several contemporary writers. Colin Wilson, The Strange Life of P. D. Ouspensky; J.H. Reyner, Ouspensky: The Unsung Genius; James Moore, Gurdjieff: The Anatomy of a Myth; William Patrick Patterson, Struggle of the Magicians. (9) Obey in everything. See Hunter, op. cit., p. 105. (10) The "condition." Ibid., p. 90. (11) Requirement. For more, see the First Series, particularly the ceremony in which Beelzebub is reinstated and honored. (12) Speculates. See Hunter, op. cit., p. 221. (13) St. Petersburg conditions. William Patrick Patterson, Struggle of the Magicians, 2nd Ed. (Fairfax, Calif.: Arete Communications, 1998), pp. 25, 233. (14) Ouspensky knew the theory. See Hunter, op. cit., pp. 135–36. As reported in C.S. Nott, Journey Through This World (New York: Samuel Weiser, 1969), Pinder goes on to say that, "Ouspensky, for all his great brain, was, for what was real, unintelligent; and it was inevitable that Ouspensky should cut himself and his pupils off from Gurdjieff. It is strange that there can be talk of 'Ouspensky's Teaching,' and 'Gurdjieff-Ouspensky'; the Teaching is Gurdjieff's." p. 91. (15) Pinder. James Moore, Gurdjieff: The Anatomy of a Myth (Rockport, Mass. : Element, 1991), pp. 358–59. (16) Separation of theory from practice. See Hunter, op. cit., pp. 107, 127, 153, 183, 193. (17) Helper-instructors. G. I. Gurdjieff, Life Is Real Only Then, When "I Am" (New York: Triangle Editions, 1978), p. 28. (18) Negative emotions. Terry Winter Owens, "A Remembrance of W.A. Nyland," Gurdjieff International Review, Vol. III, No. 2, p. 17. (19) Questions. See Hunter, op. cit., p. 153. (20) Conditions in which I had to work. Sterling Library, Yale University. (21) Gotten the idea. P. D. Ouspensky, The Fourth Way (New York: Knopf, 1957), pp. 402–3. (22) Completely self-supporting. See Ouspensky, Search, op. cit, p. 286. (23) The law. Ibid., pp. 230–31. (24) Pointed out elsewhere. See Patterson, op. cit., pp. 25, 91, 233. (25) Expectations of Gurdjieff. See Hunter, op. cit., p. 139. (26) A man of an oriental type. See Ouspensky, Search, op. cit., p. 7.